SPRING VALLEY, Minn.—Jason Cummins conquered the 35-lap main event Saturday night during the 9th Annual Labor Day Dual at the Deer Creek Speedway for his first United States Modified Touring Series victory since 2011. After starting fifth on the 26-car grid, the 34-year-old from New Richland, Minn., took fourth on lap 4, third on lap 5 and then snuck by Brad Waits for second with nine laps complete. After swapping the lead back and forth with Waits for the first five laps, Johnny Scott settled into the lead role on lap 6 and paced the field through lap 14 when Cummins scooted by to take control. Waits, who dominated the USMTS feature race here during Memorial Day Weekend, moved around Scott three laps later and challenged Cummins the rest of the way. But Cummins was up to the task and parked his machine in victory lane for the first time since winning on opening night of the World Modified Dirt Track Championship more than three years ago. The win was worth $3,000 while Waits settled for the runner-up paycheck and Scott held on for a third-place finish. Tommy Myer wound up fourth and Stormy Scott was fifth. The rest of the top 10 spots fell to Joey Jensen, Craig Thatcher, Zack VanderBeek, Kelly Shryock and Kevin Stoa. Shryock, who started 19th, padded his pocket by earning the Mesilla Valley Transportation Hard Charger Award. Defending USMTS national champion Rodney Sanders had a rare night of disappointment. After qualifying for the main event through one of two Real Racing Wheels “B” Mains, the current points leader dropped out of the race on lap 17 with mechanical woes. Although VanderBeek narrowed the gap, Sanders’s points lead in the Hunt for the USMTS Casey’s Cup sits at 129 points (1473 to 1344). By simply showing up at the final two points races, Sanders will garner his second straight USMTS national championship. Stormy Scott remains third in the standings with 1229 markers, followed by Shryock (1145), Johnny Scott (1144), Dereck Ramirez (1090), Joe Duvall (1050), Daniel Hilsabeck (1003), John Allen (932) and Trevor Hunt (816). The Labor Day Weekend swing wraps up on Sunday, Aug. 31, at the Cresco Speedway in Cresco, Iowa, for the 12th Annual Cresco Bowl. Once again, the USMTS Modifieds will share the stage with the Iron Man Challenge featuring USRA Stock Cars ($750 to win) and USRA B-Mods ($600 to win), plus USRA Hobby Stocks ($350 to win). Ticket prices are $17 for adults 18 years of age and older, $10 for kids ages 13-17 and free for children ages 12 and under. Pit passes are $30 per person. Race fans can pick up coupons good for $2 off adult admission at Casey’s General Stores locations in Cresco, Decorah and Waukon on race day. John Allen and his No. 98 Sour Patch Kids/Oreos Modified will be at the 601 2nd Ave. Casey’s location from 11:30-1:30. The Cresco Speedway is located 2 blocks north of SR 9 on SW 7th. Race day info is available by calling 563-547-3400 or at www.mhcfair.com. The Howard County Fairgrounds campground features seasonal camping with water, electrical hook-ups and a sewer dumping station. The camping fee is $10 per night or $50 per week. Long term stays are available for discounted rate. For more information about Casey’s General Stores or to find the location nearest you, visit www.caseys.com online. You can also like them on Facebook at www.facebook.com/CaseysGenStore and follow them on Twitter at www.twitter.com/caseysgenstore. 1. (5) 71 Jason Cummins, New Richland, Minn.
2. (7) 98 Kevin Stoa, Albert Lea, Minn.
5. (6) 31 Corey Dripps, Waterloo, Iowa. 6. (8) 4a Joel Alberts, Mantorville, Minn.
7. (2) 28 Bill Clemens, Chatfield, Minn.
8. (4) 50iii Brandon Davis, Medford, Minn.
1. (2) 24 Brad Waits, Rochester, Minn.
3. (5) 7k Jason Krohn, Slayton, Minn.
4. (6) 98 John Allen, Chanute, Kan.
5. (1) 25 Nate Wasmund, Rochester, Minn.
6. (4) 22d Daniel Hilsabeck, Waukee, Iowa. 7. (8) 36 Jeff Conner, Panora, Iowa. 8. (7) 6m Ted Marrs, Bethel, Minn.
1. (5) 91 Craig Thatcher, Knapp, Wis.
3. (6) 14w Clayton Wagamon, Blaine, Minn.
4. (7) R Ron Ver Beek, Oskaloosa, Iowa. 5. (3) 96 Greg Jensen, Albert Lea, Minn.
6. (8) 51 Tim Thomas, West Fargo, N.D.
7. (2) 23k Darwin Karau, Kasson, Minn.
8. (4) 20m Mark Motl (R), Owatonna, Minn.
2. (3) 65 Tommy Myer, Blooming Prairie, Minn.
3. (6) 72 Doug Hillson, Blooming Prairie, Minn.
4. (4) 02 Jacob Dahle, Morristown, Minn.
5. (1) 4r Dereck Ramirez, Woodward, Okla.
6. (2) 1k Pat Graham, Ames, Iowa. 7. (7) 97 Cade Dillard (R), Robeline, La. 2. (1) 29d Brad Dierks, Clarence, Iowa. 3. (5) IOU1 Brent Larson (R), Lake Elmo, Minn.
4. (7) 20 Rodney Sanders, Happy, Texas. 6. (4) 26g Bob Gierke, Westport, Minn.
7. (3) 1a Dwaine Hanson, Lakefield, Minn.
2. (5) 25 Nate Wasmund, Rochester, Minn.
3. (1) R Ron Ver Beek, Oskaloosa, Iowa. 4. (3) 3 Kelly Shryock, Fertile, Iowa. 5. (8) 1k Pat Graham, Ames, Iowa. 7. (4) 31 Corey Dripps, Waterloo, Iowa, Rage/Durham, $100. 8. (7) 51 Tim Thomas, West Fargo, N.D., Venom/G-Force, $100. 9. (10) 23k Darwin Karau, Kasson, Minn.
10. (12) 6m Ted Marrs, Bethel, Minn., Frederick/Homerun, $80. 11. (11) 1a Dwaine Hanson, Lakefield, Minn., Hughes/, $80. 12. (9) 36 Jeff Conner, Panora, Iowa, Skyrocket/Durham, $100. DNS - 7k Jason Krohn, Slayton, Minn., MBCustom/Sput’s, $100. 1. (3) 98 John Allen, Chanute, Kan.
4. (1) IOU1 Brent Larson (R), Lake Elmo, Minn.
5. (11) 97 Cade Dillard (R), Robeline, La. 6. (4) 02 Jacob Dahle, Morristown, Minn., Hughes/Sput’s, $100. 8. (9) 26g Bob Gierke, Westport, Minn.
9. (6) 96 Greg Jensen, Albert Lea, Minn., Mars/KSE, $100. 10. (10) 28 Bill Clemens, Chatfield, Minn., GRT/Clemens, $80. 11. (13) 20m Mark Motl (R), Owatonna, Minn., GRT/Sput’s, $100. 12. (8) 22d Daniel Hilsabeck, Waukee, Iowa, Hughes/Mullins, $400. 13. (12) 50iii Brandon Davis, Medford, Minn., MBCustom/KSE, $100. 1. (5) 71 Jason Cummins, New Richland, Minn., Sidebiter/Sput’s, 35, $3000. 2. (4) 24 Brad Waits, Rochester, Minn., LG2/Baier’s, 35, $1700. 3. (1) 1st Johnny Scott, Las Cruces, N.M., Ramirez/Cornett, 35, $1200. 4. (3) 65 Tommy Myer, Blooming Prairie, Minn., Ramirez/Sput’s, 35, $1000. 5. (6) 2s Stormy Scott, Las Cruces, N.M., LG2/ProPower, 35, $900. 6. (8) V2 Joey Jensen, Harris, Minn., SSR/Tim’s, 35, $800. 7. (2) 91 Craig Thatcher, Knapp, Wis., GRT/TriStar, 35, $700. 8. (13) 33z Zack VanderBeek, New Sharon, Iowa, LG2/Sput’s, 35, $650. 9. (19) 3 Kelly Shryock, Fertile, Iowa, Skyrocket/ASI, 35, $700. 10. (7) 98 Kevin Stoa, Albert Lea, Minn., Harris/KSE, 35, $450. 11. (15) 25 Nate Wasmund, Rochester, Minn., GRT/Action, 35, $500. 12. (14) 98 John Allen, Chanute, Kan., GRT/Hatfield, 35, $450. 13. (20) IOU1 Brent Larson (R), Lake Elmo, Minn., Shaw/Tim’s, 35, $425. 14. (25) 4a Joel Alberts, Mantorville, Minn., GRT/Action, 35, $400. 15. (11) 99 Josh Angst, Winona, Minn., GRT/Sput’s, 35, $375. 16. (18) 91 Joe Duvall, Claremore, Okla., MBCustom/Mullins, 35, $400. 17. (24) 26g Bob Gierke, Westport, Minn., GRT/Tim’s, 35, $325. 18. (21) 1k Pat Graham, Ames, Iowa, Skyrocket/Karl, 35, $300. 19. (10) 72 Doug Hillson, Blooming Prairie, Minn., GRT/Fast, 18, $300. 20. (17) R Ron Ver Beek, Oskaloosa, Iowa, Skyrocket/Midstate, 18, $250. 21. (9) 14w Clayton Wagamon, Blaine, Minn., Hughes/Wagamon, 17, $300. 22. (16) 20 Rodney Sanders, Happy, Texas, MBCustom/Geddes, 17, $400. 23. (22) 97 Cade Dillard (R), Robeline, La., LG2/105, 16, $300. 24. (23) 4r Dereck Ramirez, Woodward, Okla., Ramirez/Cornett, 13, $400. 25. (12) 29d Brad Dierks, Clarence, Iowa, Skyrocket/Sperry, 13, $300. 26. (26) 23k Darwin Karau, Kasson, Minn., Killer/Flyin’J, 3, $300. Lap Leaders: J. Scott 1, Waits 2-3, J. Scott 4, Waits 5, J. Scott 6-14, Cummins 15-35. Total Laps Led: Cummins 21, J. Scott 11, Waits 3. Provisional Starters: Ramirez, Gierke, Alberts (track), Karau (track). Sybesma Graphics Pole Award: Cummins. Mesilla Valley Transportation Hard Charger: Shryock (started 19th, finished 9th). 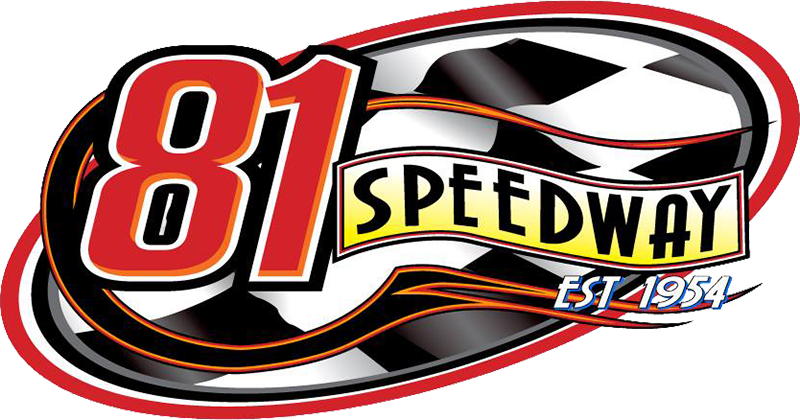 Next Race: Sunday, Aug. 31, Cresco (Iowa) Speedway. Hunt for the USMTS Casey’s Cup Points: Sanders 1473, VanderBeek 1344, S. Scott 1229, Shryock 1145, J. Scott 1144, Ramirez 1090, Duvall 1050, Hilsabeck 1003, Allen 932, Trevor Hunt 816. Rookie of the Year Points: Dillard 1855, Jake Gallardo 1781, Adam Penn 1436, Lance Town 1320, Dylan Smith 1298. COMP Cams Engine Builder of the Year Points: Sput’s 434, Geddes 416, ProPower 407, Mullins 268, ASI 198. Tiger Quick Change Manufacturers Championship Points: LG2 497, MBCustom 478, GRT 392, Ramirez 374, Hughes 306. Beyea Custom Headers – Dahle. Brass Monkey Racing Products – Graham. C&R Racing – not awarded. FK Rod Ends – Angst. Fuel Safe – J. Jensen. GRT Race Cars – Hillson. JRi Shocks – not awarded. KEVKO Oil Pans & Components – Shryock. Keyser Manufacturing – not awarded. Marsh Racing Wheels – Dierks. Mesilla Valley Transportation – Shryock. MSD Ignition – not awarded. PBM Performance Products – S. Scott. Power Lift Racing Products – Gierke. VP Racing Fuels – not awarded.